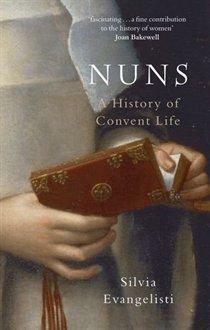 Although limited in scope, this examination of convent life paints a detailed and in-depth portrait of the women who led mostly hidden lives of work and prayer between the late 15th and early 18th centuries. Evangelisti, a lecturer in early modern history at the University of East Anglia in Norwich, England, tells how nuns of this period engaged in such creative pursuits as writing, music, the visual arts and theater. Some even wrote spirited defenses of their gender, confronting the prevailing view of women as less than men (although at least one of these�Teresa of Ávila�had her words on the subject censored from the published version of The Way of Perfection). Evangelisti also deals with a darker side of convent life: that of women being forced by their families to become nuns because of the few opportunities available to women of that time. Yet she points out that, for others, becoming a nun was a suitable alternative to marriage. She shows as well how women inside the convent walls challenged church restrictions of that era requiring them to live in cloisters. Many sought to go outside to perform charitable and other acts of service, developing new models that would allow such work. Evangelisti's readable, meticulously researched account should be of special interest to feminists and students of church history.